The artist looks down on you. 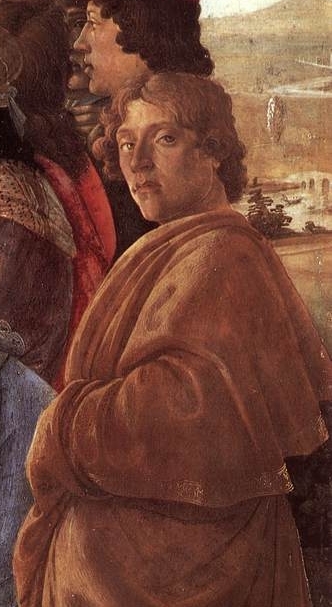 Possibly my favourite self-portrait, this is one of only three characters in Sandro Botticelli‘s The Adoration of the Magi (1475 ca.) staring “at the camera”. 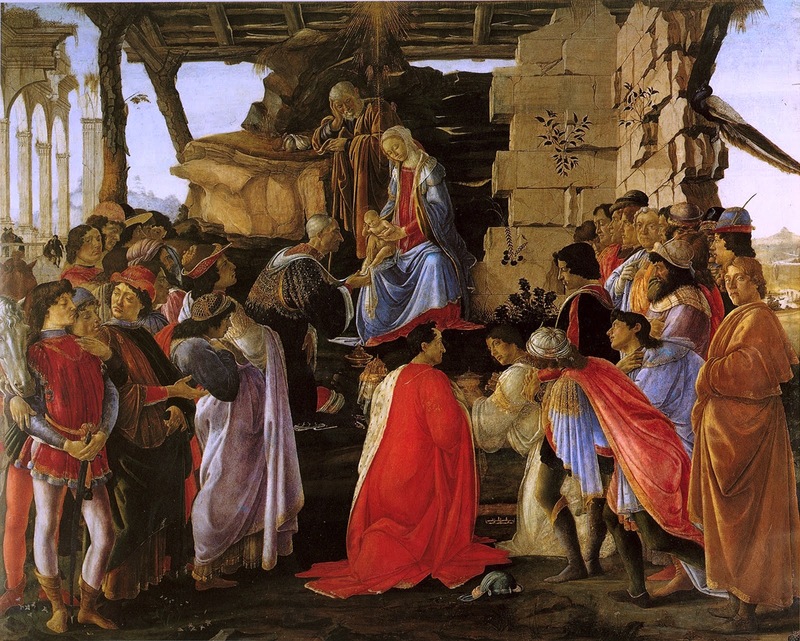 It has long been identified as the artist himself. His expression is formidable as he looks down on the viewers, including his commissioners, with an ever so imperceptibly pursed lip and raised eyebrow. I also love this self-portrait of his, not necessarily for the smug attitude, but rather for the author’s looks: rarely can one see the artist depicting himself as a young man. what images come from them usually represent an elder (here alluding to dear Sandro’s famed contemporaries: da Vinci and Michelangelo).